To find out more about our technology and experience that can help save you money contact us! Winnipeg has a tradition of excellence in printing. Whether you are reading a book in Florida or a brochure in Nova Scotia, there is a very good chance it was printed here. Winnipeg has a full compliment of excellent support services to the printing industry. 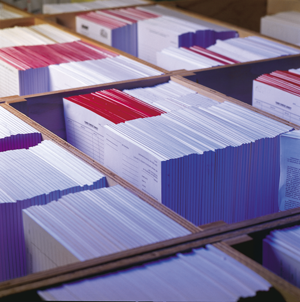 Specialized techniques such as die cutting, foil stamping, mail preparation, direct mailings, scanning and other services can all be handled locally. Need more reasons to print in Winnipeg? Winnipeg’s central location reduces shipping times and costs across North America. Canada’s favorable exchange rate gives our American customers additional value and economy for their orders. Winnipeg remains at the forefront of printing technology producing exceptional quality and economy for our customers. 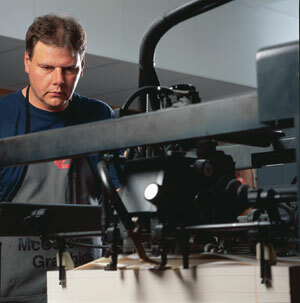 City Press can print from a small format project to a large format item up to 35.5″ Wide.